Complicated is the perfect word to describe this book. I found that I enjoyed it much more than the first book, because of all of its plot twists and developing relationships. Mara and Noah are extremely cute, and it's nice to see that even though their world is falling apart that they don't let it effect their feelings for each other. 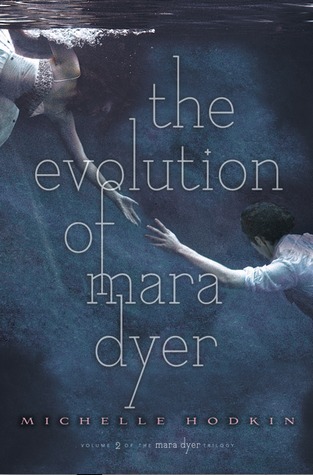 In some ways, this book reminded me of Veronica Roth's Divergent trilogy in its villains and I found Mara is very similar to Juliette from Shatter Me, except less annoying. So if you like either of those trilogy's, you should give this one a read. 1) I continue to like the writing style, more specifically each characters' individual voices. Mara's voice comes through very well, in the way that I can hear in my head the exact tempo of how she is saying certain things and her tone of voice. 2) Noah may continue to be a cliche but I do love him dearly haha. The way he is always saving Mara, and being there for her, it's impossible for me not to love him. 3) I love the brother-sister bond that Daniel and Mara share, it's rare where this kind of relationship in books is described often. It's truly touching, and makes me envious at the same time. I especially love Daniel's speech when he goes with Mara to group. I won't ruin it for everyone, but I will say it made me cry. 4) The honesty in Noah and Mara's relationship, it's nice to see that they have actual problems, as opposed to one lying to another to move the plot along and their relationship. 1)Plot twists: I'm torn on this one. Although I felt that the twists and turns of this book made it more exciting, I felt that it was predictable. I don't want to spoil anything for anyone, but I didn't find myself at all surprised at each turn, but you guys be the judge. Don't just take my word on it. 2) Clarity, or lack there of really. Part of the book is written from a different point of view, I'm want to say that it's from Mara's grandma's point of view, but at times I got stuck thinking that maybe it was a past life of Mara's. Either way, I found it pointless, and I wasn't quite sure what the point of adding that in. At the end of the book, there is a parallel scene from this past and Mara's present but other than that I wasn't sure what the point of it all was. There are a few other unclear points, like the pendants, or Lukumi, and there are some other things but I don't want to give anything away for those who haven't read it. Noah followed my steps and unfurled on the mattress, drawing me down with him, My spine was pressed up against his chest; the silver pendant he always wore was cold against my skin, exposed in my tank top. The beat of his heart was steadied mine. Noah traced the length of my arm and held my hand. "We don't have to do anything, Mara." he said softly as my eyes began to close. I wanted to curl up in his voice and live there. "This is truly enough." I had one final thought before I slipped into sleep. Not for me. I ran my fingers through his perfect hair and wrapped my arms around his neck. Locked them there. Locked him in. But then he unbound them. Pulled away and kneeled back until he was at the foot of the bed. "I'm still here." Noah smoothed the hair from my face. Made me look at him before he spoke. "There will come a moment when there's nothing you want more than us. Together. When you're free of every fear and there is nothing in our way." Noah's voice was sincere, his expression serious. I wanted to believe him. "And then I'll make you scream my name." I broke into a smile. "Maybe I'll make you scream mine." I knew Noah worshipped Charlie Parker and that his toothbrush was green. That he wouldn't bother to button his shirts correctly but always made his bed. That when he slept he curled into himself and that his eyes were the color of the clouds before it rained, and I knew he had no problem eating meat but would subtly leave the room if animals started to kill one another on the Discovery Channel. I knew one hundred little things about Noah Shaw but when he kissed me I couldn't remember my own name.